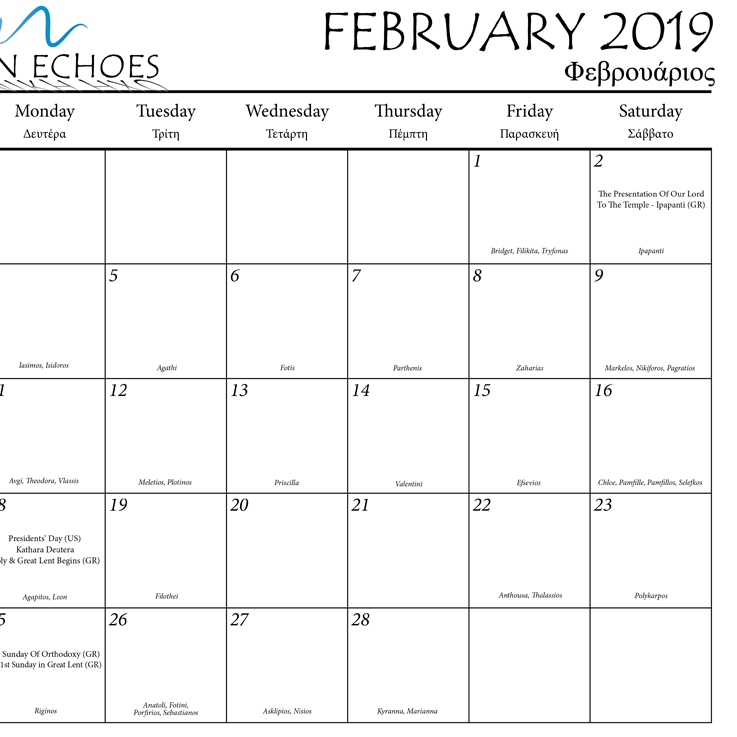 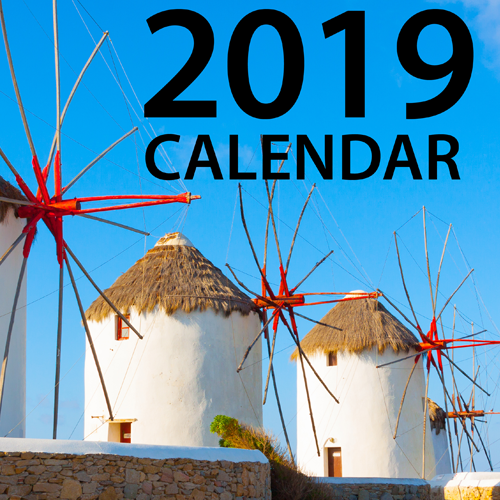 The Grecian Echoes Nation full color 12 month calendar highlights the best of Greece. 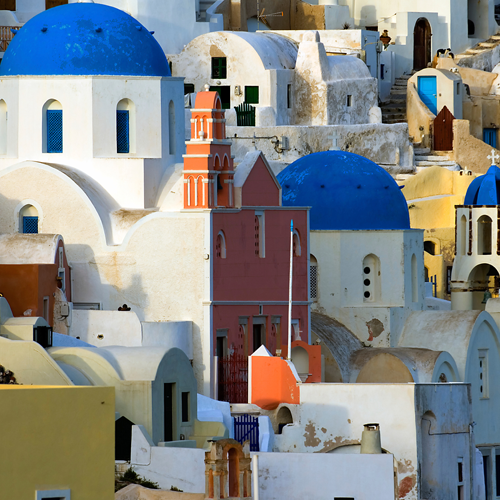 Each month displays a beautiful scene from around Greece. 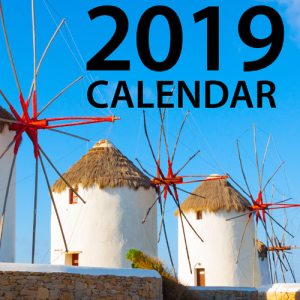 Additionally, Greek name days and holidays commonly celebrated in Greece are included in each month.